Quantuck Lane Press, 9781593720568, 352pp. Living on a Dollar a Day shares the personal stories of some these poorest of the poor, honoring their lives, their struggles, and encouraging action in those who can help. In making this beautiful and moving book a team traveled to four continents, took thousands of photographs, conducted numerous interviews, and researched information on the agencies around the world that strive to help the destitute. The resulting stories and photographs offer a heartrending glimpse into the everyday realities of individuals and families facing extreme poverty. Personal profiles give voice to their experience, and research about the root causes of global poverty is shared along with information on how those in more fortunate circumstances can get involved. 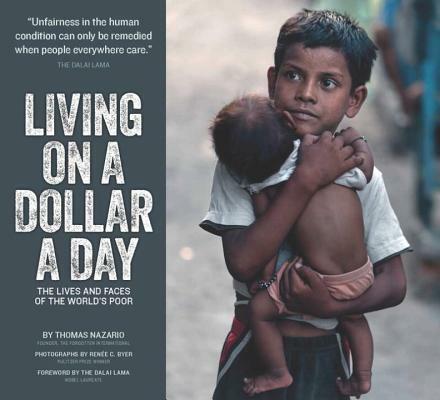 Living on a Dollar a Day gives the largely invisible poor a face and a voice. In a world that grows more and more connected and interdependent, the issues that affect one person eventually affect us all. This important book is a powerful call to action for anyone who wishes to help alleviate human suffering.